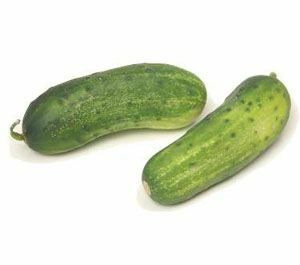 8-9" long slicing cucumber that is ideal for pickling slices. Vigorous for home gardens with dark green skin. 200 or more total 48 ct flats of assorted varieties delivered or picked up at one time less 5%.